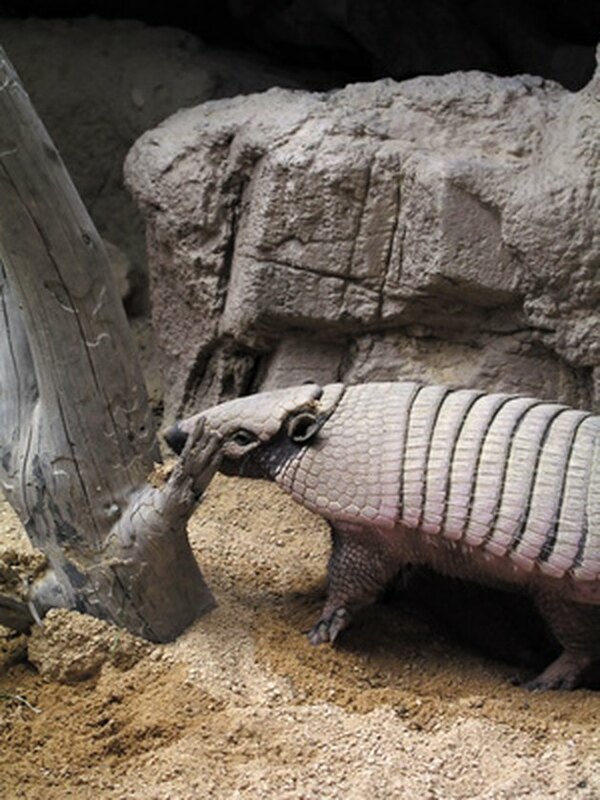 Armadillos and moles are small mammals that feed on invertebrates living underground. Sometimes their search for food can lead them into your yard where they can destroy gardens, lawns and flower beds. They can also cause damage when they burrow under driveways and other structures. If you discover holes in the ground around your garden or lawn and suspect you have armadillo or mole activity, immediately take action to repel them from your lawn before any serious damage is done. Repel armadillos and moles with castor oil. Make a homemade armadillo and mole repellent. Mix 2 parts castor oil, 1 part dish soap and 1 gallon of water in a large bucket. This is the most effective solution for repelling armadillos and moles. Pour the mixture in a spray bottle and spray around your garden and flower beds. Use a large sprayer for the entire lawn. Spray once a month and after it rains to continue repelling the animals. Sprinkle some crushed red peppers flakes around your yard or garden. The armadillos and moles will be repelled by the pungent odor. Remove bushy areas and debris from your yard. This will discourage armadillos and moles from coming into your yard. Capture moles and armadillos with an animal trap. Set traps along pathways to their burrows and fences, or other barriers where the animals may travel.